How long can a long-running series retain its magic? In my experience, it’s rare for a series not to stumble a few times if it goes into the double digits. A good writer will change direction to keep the series fresh while also retaining at least some of the essential qualities that made people love the series in the first place. 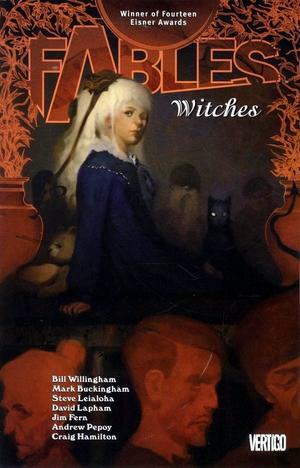 Shortly after Bill Willingham’s comic series Fables reached the double digits in trade paperback, Willingham made the risky decision to abandon the ongoing story arc that had been central to the series and end the war with the Adversary who had forced the characters into exile from their homeland before the series began. Ending the war was probably a good move, but after reading the trade paperbacks that take place after the war, I’m worried that the loss of that storyline has brought with it a loss of a lot of what made the series so compelling. The storylines now feel slight, and most of the characters who are claiming the spotlight don’t yet have the dimensions that I came to love in characters like Bigby, Cinderella, and Pinocchio. When I reviewed The Dark Ages, the first post-War Fables volume, I noted that it felt like a transitional book. I figured that the next volumes (after number 13, which I skipped) would develop the storylines that were just hinted at, and we’d end up with a multilayered storyline that delves into the challenges of peacetime governance and the rise of a new enemy. All of these elements do appear in volumes 14–16, but they’re handled shallowly and sometimes much too swiftly. A humorous arc involving the winged monkey Bufkin gets almost as much page time as the balance of power at the Farm. And the new villain, Mister Dark, doesn’t come anywhere near the Adversary. The only storyline that really lived up to its potential was the one involving Rose Red, and what I liked about that was the extended flashback that reimagined the Snow White story. 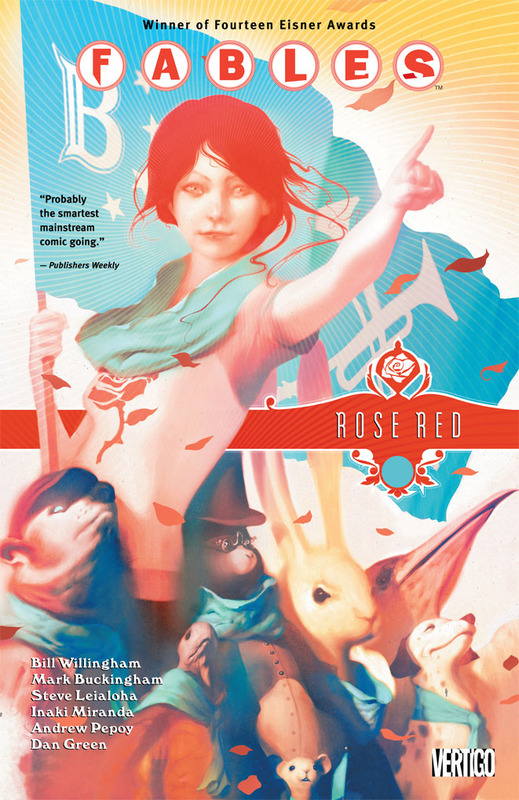 What happens in the present is predictable, and the most intriguing elements, such as Rose Red’s handling of Geppetto, are not adequately followed up on–although the follow-up may yet come in a future volume. I know I’m being all complainy about these three volumes. My problem is not that these are terrible but that they don’t live up to the high standard set in the previous books. There were good moments in these books, especially in the Rose Red flashbacks, but the balance of good moments to moments I didn’t care much about was off. The earlier books had moments I didn’t care about (basically everything involving Jack), but a string of books with so few great moments was unusual in the first 11 trade paperbacks. All in all, I’m not sure I’m going to continue with the new volumes. I’m only mildly curious about the threads that are still hanging. I have issues with the depiction of the remaining Fabletown villain, Nurse Spratt, and I don’t care that much which cub gets the big inheritance mentioned toward the end of volume 16. (I’m pretty sure who it will be anyway.) The only character I have feelings about now is Rose Red. Everyone else, even my beloved Ambrose, has gone bland. It’s disappointing to see a great series flounder after years of success. 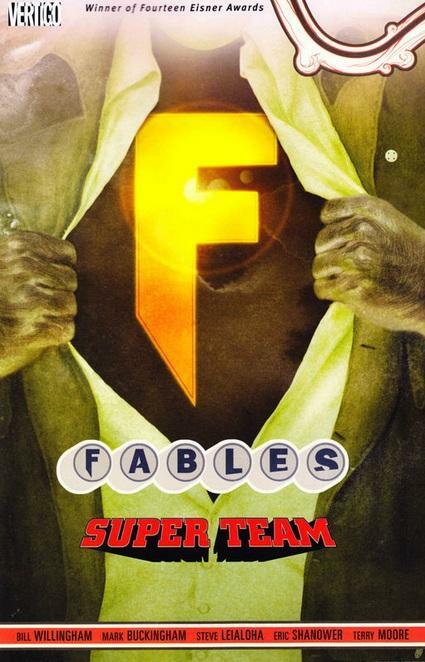 I’m going to hope that Fables recovers its footing–and that some of you will let me know if it does. I know what you mean, Teresa! I love this series but you’re right about the thing with Mr. Dark being too sudden (though I was shocked at how it ended). I kept wondering “Where did he come from?” I love the back story readers got about Frau Totenkinder. It turned her into one of my least favorite characters to one of my most favorites. We’ll see what happens in the next volume. I can’t say I was sorry to see Mr Dark go because he wasn’t a great villain, but he hadn’t had time to develop into one. I had mixed feelings about the Frau Totenkinder storyline. I loved her transformation scene, with the glimpses at her past houses and all, and I liked her scheme for defeating Mr Dark, but I didn’t like how all these recent books have seemed to send the message that women are at their most powerful when they’re young and beautiful. The Nurse Spratt storyline was the worst for that, especially with Snow’s speech about how if you’re ugly you better be nice. The addition of the Totenkinder storyline added to my annoyance, when it might not have bothered me in isolation. I stopped reading after the 11th volume. It felt transitional to me, too, and then I just wasn’t interested in picking up any of the further volumes. Seems I made the right call. It makes me wish that people were better at knowing when to stop — like Neil Gaiman stopping the Sandman after the 10th volume, when the story was clearly over. The 12th volume did have one really great storyline that I would have been sorry to miss, but other than that, the volumes since War and Pieces haven’t done so much for me, so I don’t think you made a bad call at all. Is the prequel series you’re referring to the one focused on the women? I’ve seen at least one review of the first issue remarking that for a series about women fables, it’s awfully focused on male characters. That’s not a good sign. I just finished Inherit the Wind and I have to agree with you. All the stories seem like they are waiting for something bigger to come along and the real story to start. I haven’t given up yet but I’m just reading from the library, not buying. Ugh. I’m sorry to hear that the new book feels transitional too. I figured that would be the case since the Mr. Dark story wrapped up, but I feel like there’s a been a string of transitional books, which is a problem.